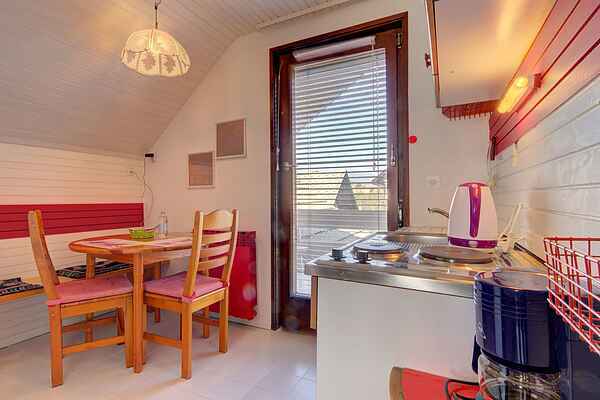 Located in a quiet area in one of the most beautiful streets in Bled, a 10 minute walk from the center of town and the lake. This well-maintained property features a large garden and a private parking. With its natural beauty, Bled, together with its surroundings, ranks among the most beautiful alpine resorts, renowned for its mild, healing climate and thermal lake water. The beauty of the mountains reflected on the lake, the sun, the serenity and the fresh air arouse pleasant feelings in visitors throughout the year, guaranteeing an ideal base or a relaxing break or an active holiday. Bled attracts businessmen, artists, athletes, explorers, sport enthusiasts, the old and the young, from all over the world, enchanting them to return again and again.